Do you want to turn your party into something really special? 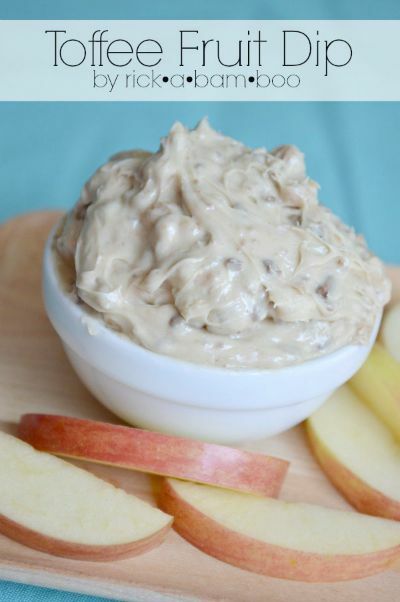 Start off the evening with one of these delicious dip recipes. As far as easy appetizers go, dips are really simple to prepare and party guest love them. I have put together a collection of over 20 of my favorite dip recipes. Start your next party with one of them and stand back for the rave reviews! Start your Next Party in style with one of these delicious Dip Recipes. Planning on watching the Movie The Descendants? 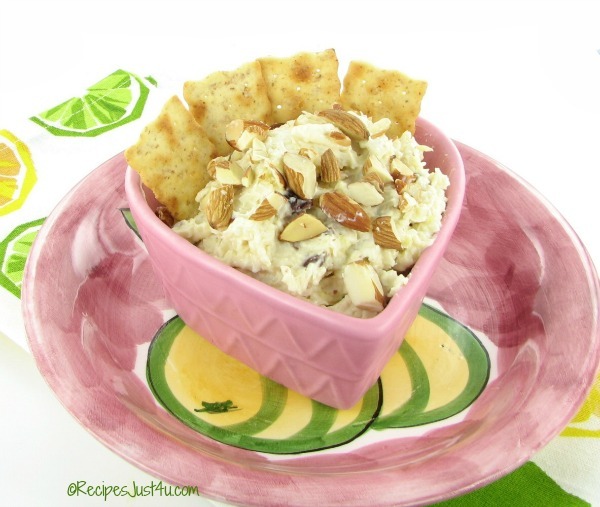 Try this delicious Descendants Dip. It is made with cream cheese coconut, pineapple and other goodies and is pure heaven. 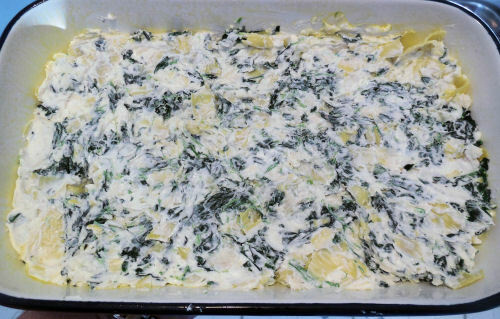 A hot spinach and artichoke dip is always a party favorite. Just be sure to make enough of it. My serving dish is always empty after I serve this delicious dip. This white chili queso dip is perfect for those party guests who like a kick of spice in their dip. Get the recipe here. 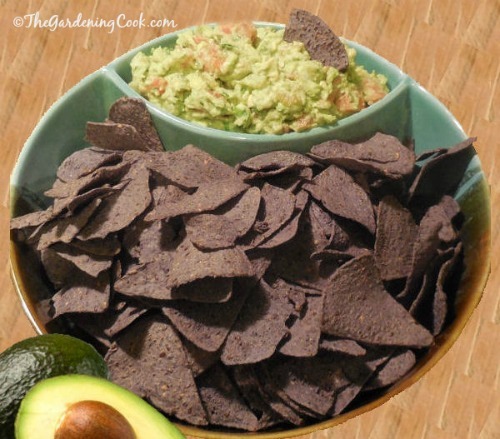 This recipe for homemade guacamole is a real crowd pleasure. It is full of flavor. After trying it, you will not buy store bought guacamole again. See how to make it here. 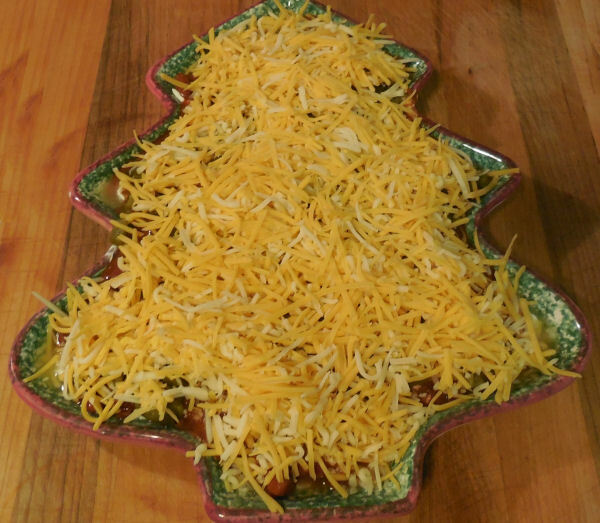 This four layer Mexican dip is so simple to make. But don’t let that fool you. It will be gone from the party table in a flash. Such full, bold flavors! This delicious pepperoni dip from DIY Budget Girl can be made ahead of time in the crock pot. Who doesn’t love pepperoni? 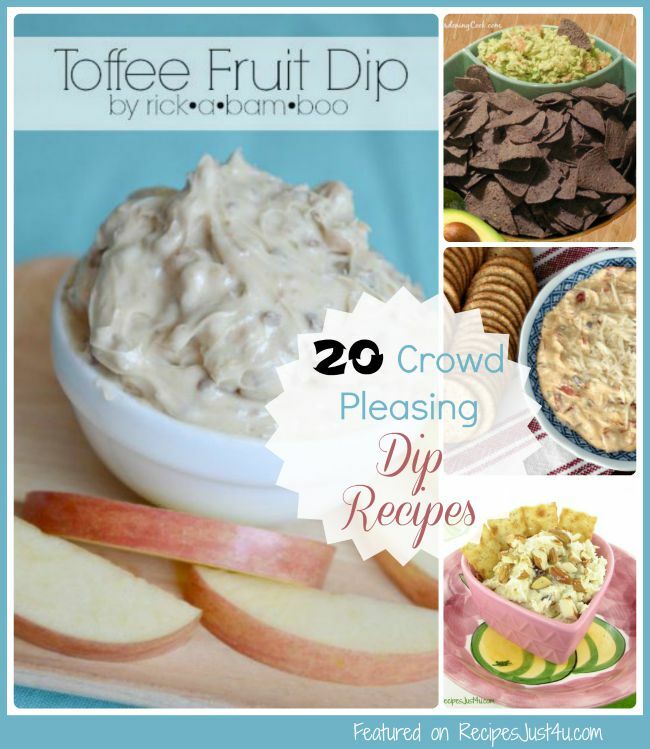 For those who like a sweeter dip, this Toffee Fruit dip from Rick a Bam Boo is a great choice. It has bits of Heath toffee in it. What is not to like? Do you like Mexican Flavors? 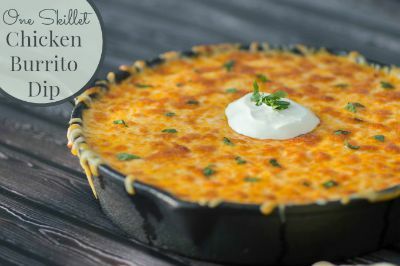 This one skillet chicken burrito dip from Almost Supermom gives you the taste of your favorite meal in a dip. Still looking for more dip recipes? Here are a few more from some of my favorite foodie blogs. 1. Olive Garden Copycat Spinach and Artichoke Dip. 3. Slimmed Down Chile Queso Dip. 4. Buffalo Beer Chicken Dip. 6. Hot Onion and Cheese Dip. 7. 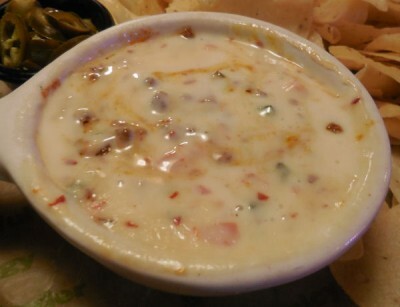 Skinny Chili Queso Dip. 9. Homemade French Onion Dip. 10. 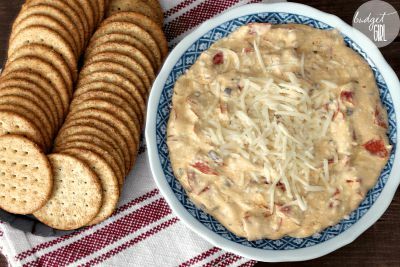 Three Ingredient Sausage Rotel Dip. 12. Cowboy bacon Burger Dip. 13. Hot Spinach and Artichoke Dip. 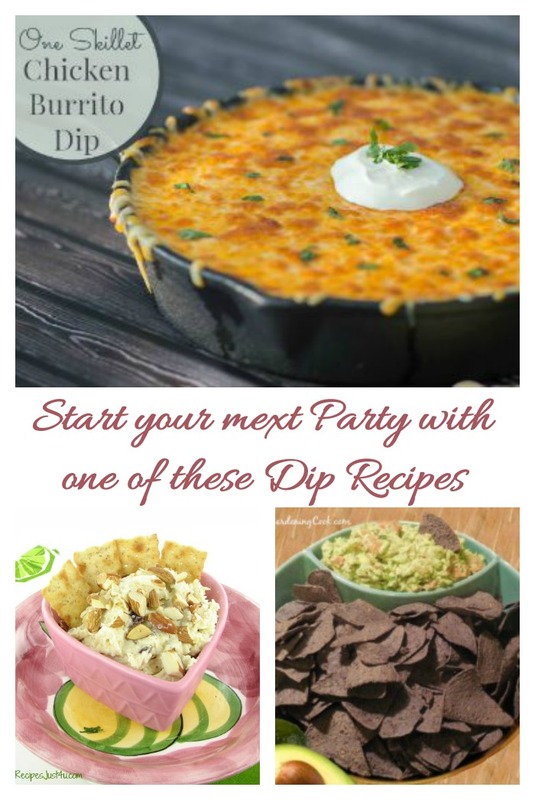 Would you like a reminder of these dip recipes? Pin this image to one of your food boards on Pinterest so that you can easily find it later.